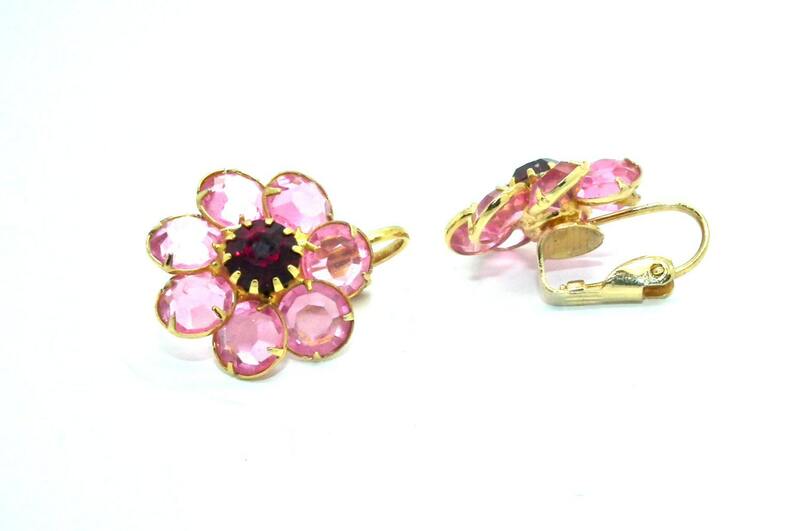 Get ready for summer with these Cute CLIP ON EARRINGS for women, floral with a nice pink color! You will find yourself loving them so much you’ll want to wear them every day! 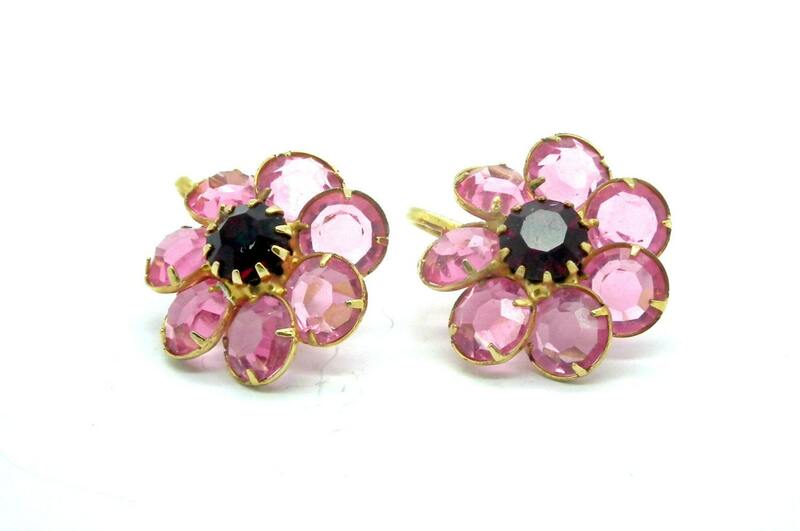 Add prettiness to your natural elegance with this a d o r a b l e pink flowers earrings. Don’t have pierced ears? No problem! These clip on earrings are perfect for those without piercings. 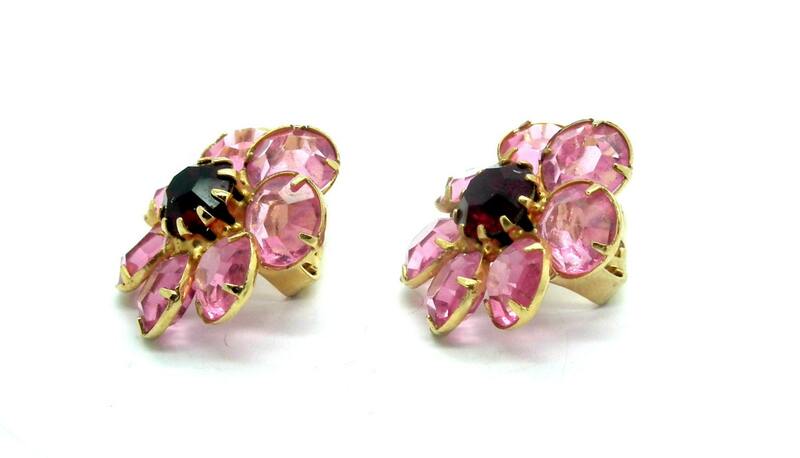 These flower earrings make a beautiful addition to any outfit in your wardrobe. 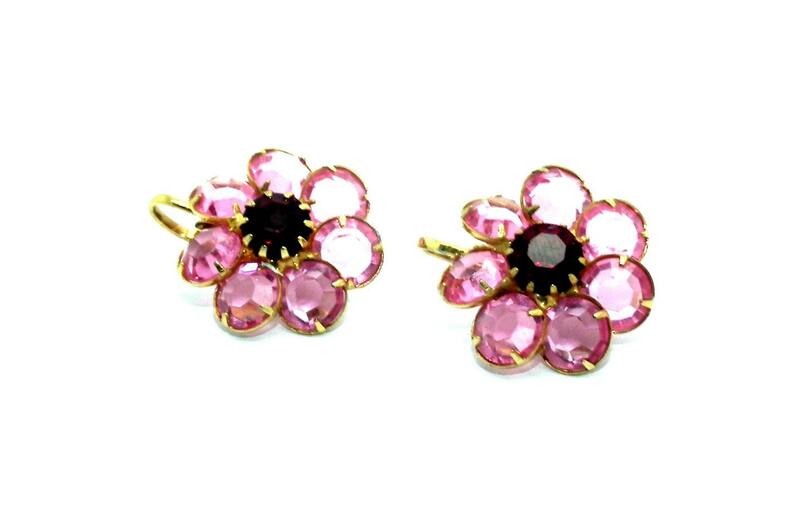 The lovely pink flower give these earrings a vibe of serenity, calmness and promote oneness with nature. If you are looking for the perfect pair of earrings, look no further! ♥ Style: Vintage earrings, Flower earrings, Dangle earrings. ♥ Strawberry pink petals and fig colors center. 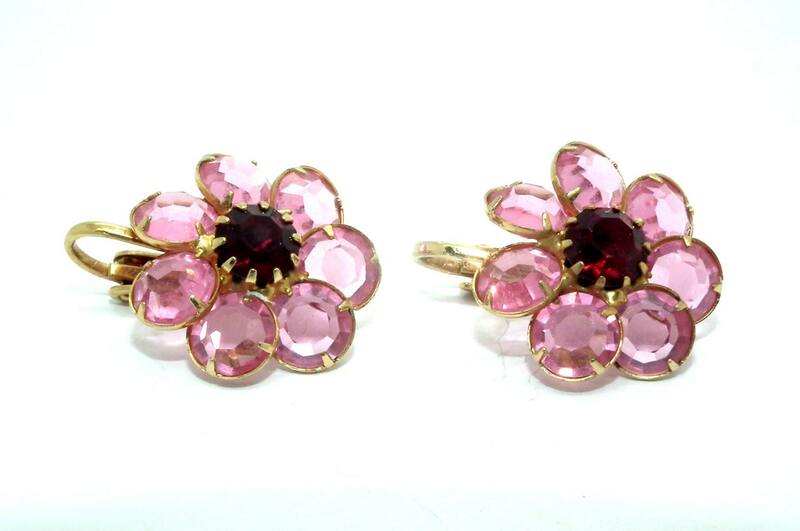 Thank you for exploring my little vintage clothing and jewelry boutique, Treat yourself and buy women's pink earrings for women!